BEING a medical intern at the Onandjokwe Lutheran hospital in the Oshikoto region is a “dark gloomy tunnel” and a depressing exercise. This was stated by one of the current medical interns at Onandjokwe in a letter seen by Informanté. The interns accused medical officers of psychological and emotional abuse while they are placed at the hospital to receive training. According to a letter of concern there are certain medical officers who constantly break down the self esteem of interns with their personal comments, shouting and making scenes with every patient an intern has seen. “Due to a shortage of interns in certain departments if you are just two then you are expected to do calls every second day and that is from 08:00 one day to 08:00 the following day,” read the letter, adding that even nurses and casualty officers have shifts where they are relieved after a certain amount of time. Furthermore, the interns complained that the system and structures in internship is failing to protect them and they are even scared to speak up as the same medical officers influence their evaluations and can easily be given failing mark. Besides the allegations of abuse by medical officers, interns also complain that they are faced with a constant shortage of certain critical medication and material such as electrocardiogram (ECG) paper used for cardiac examinations or plasters for fixing drips to patients. Furthermore, the hospital faces a shortage of nurses in the wards making patient monitoring impossible as two nurses are said to care for between 20 and 30 patients at a time. 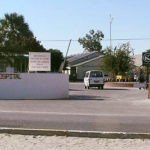 Approached for comment Chief Medical Officer for Oshikoto and currently the Acting Regional Health Director, Helena Nkandi-Shiimi, said the Onandjokwe Hospital is an intermediate medical facility which operates on an autonomous basis led by the medical Superintendent a certain Doctor Munyika. “He should be able to report on the staff matters of Onandjokwe,” Nkandi-Shiimi indicated. Nkandi-Shiimi refused to comment on whether the matter was brought to her attention or not and added that she is in Windhoek on official business.